Pennsylvania, USA - Kamelot Auctions in the US held their annual Garden and Architectural Antiques auction on 19th May 2018. Internet bidding was available through LiveAuctioneers. The sale consisted of over 700 lots ranging from traditional to modern. Featured items include garden furniture, urns, fountains, architectural elements, finely carved marble and modern sculptures. A selection from some of the architectural salvage and antique highlights with interesting results are listed below. 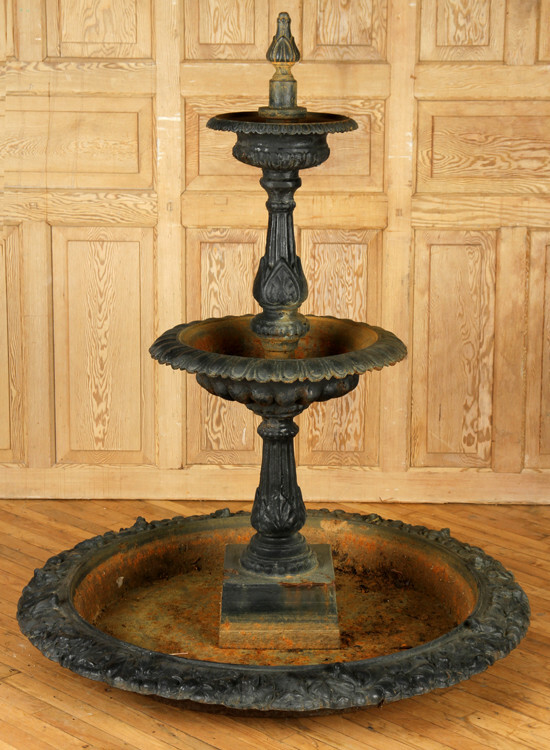 A tiered cast iron fountain having a bottom pan decorated with frogs [Lot 295] with an estimate of $1,000 to $1,500 sold for $6,250. Possibly Fiske. 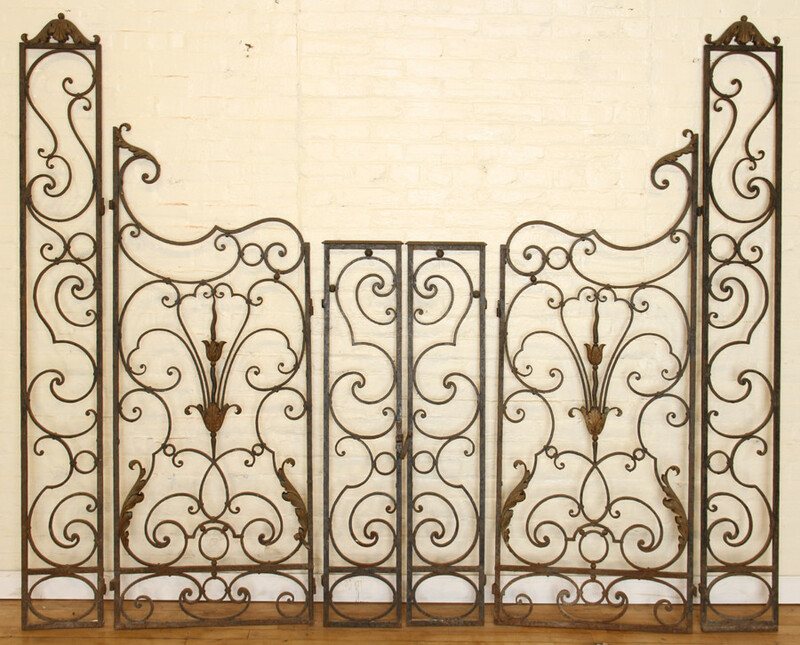 A six piece French wrought iron gate circa 1890 [Lot 277] with an estimate of $1,200 to $1,800 sold for $2,200. A pair of Gothic style cast iron benches with open work seat and back [Lot 289] with an estimate of $1,500 to $2,500 sold for $3,600. A pair of bronze panels circa 1900 [Lot 228] with an estimate of $800 to $1,200 sold for $2,200. 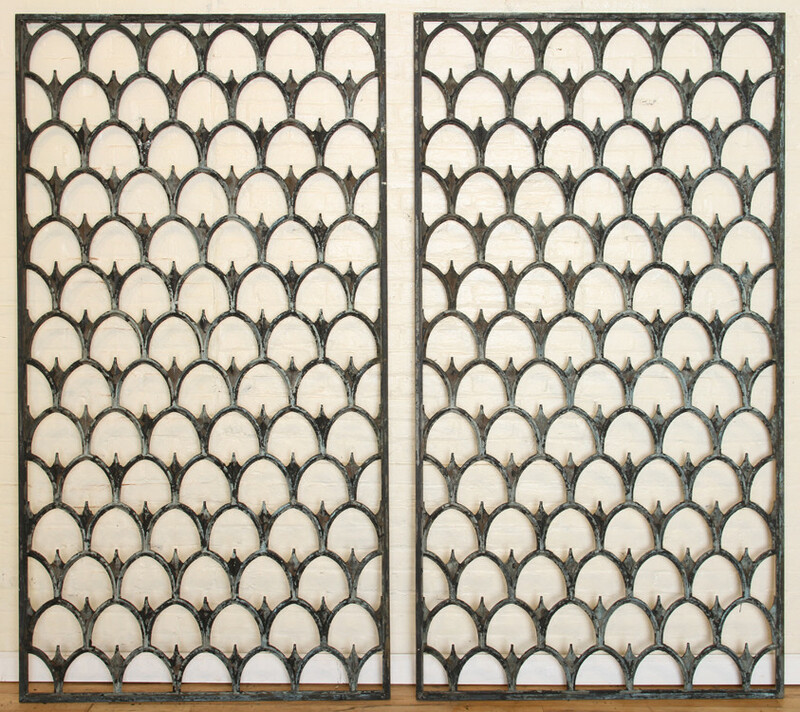 A set of four steel gates or panels having aluminum corn cob form decoration [Lot 140] with an estimate of $400 to $600 sold for $2,000. 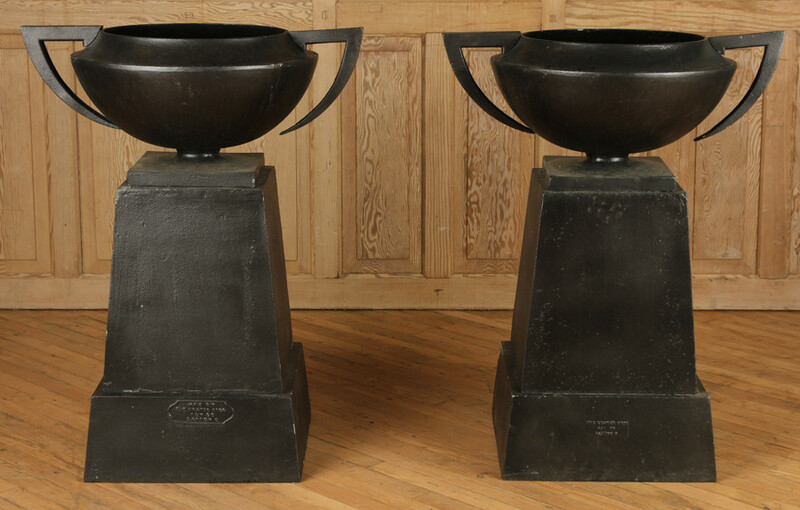 A pair of cast iron Art Deco garden urns with handles signed Kramer Brothers circa 1920 [Lot 376] with an estimate of $1,200 to $1,800 sold for $5,750. 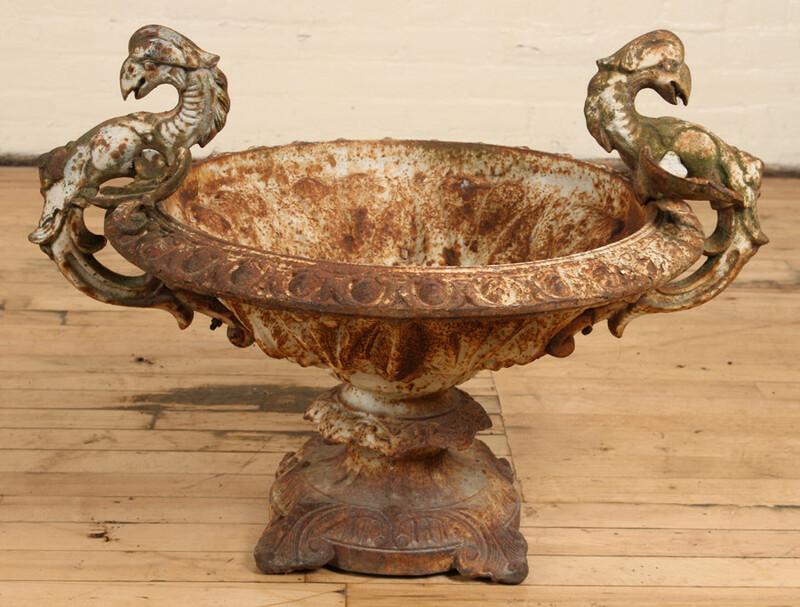 A rare pair of French cast iron garden urns having stylized winged serpent twin handles circa 1880 [Lot 45] with an estimate of $700 to $900 sold for $3,600. 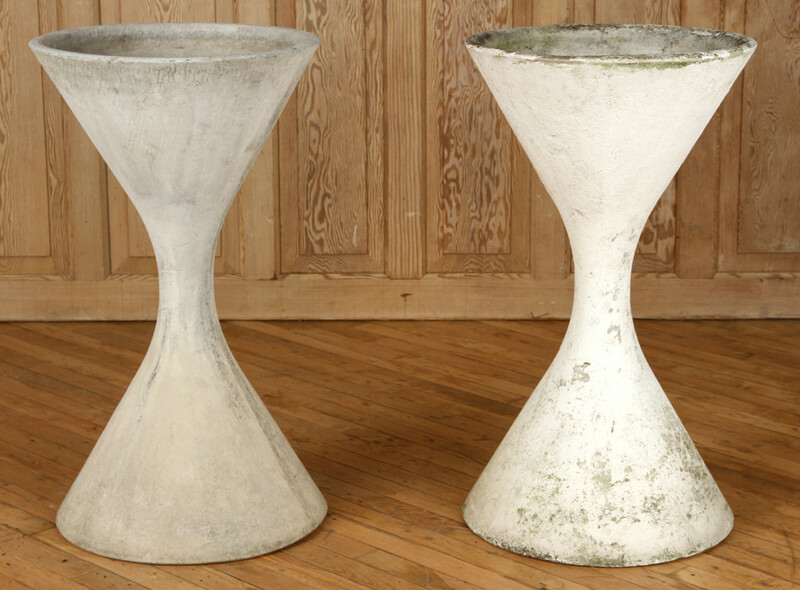 Two hour glass form French cast stone planters by Willy Guhl circa 1970 [Lot 423] with an estimate of $600 to $900 sold for $2,800. A finely carved marble statue of a seated woman with musical instruments circa 1900 [Lot 1] with an estimate of $1,000 to $1,500 sold for $6,000. 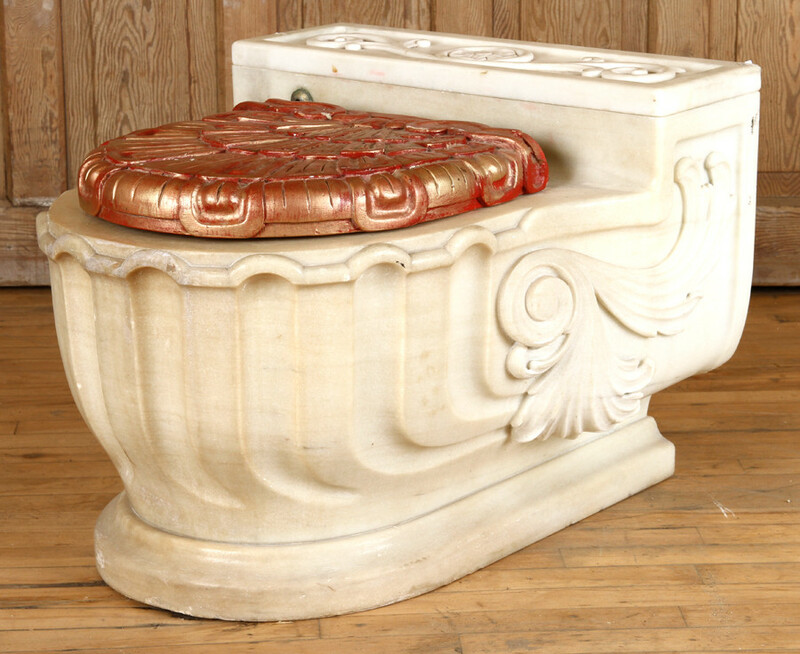 A Sherle Wagner carved Italian marble toilet featuring a scroll and flourish design with an acrylic seat and cover [Lot 489] with an estimate of $800 to $1,200 sold for $4,000.